4 of 74026 - Lower Control Arm Forward Pos. 4 of 74027 - Lower Control Arm Rear Pos. 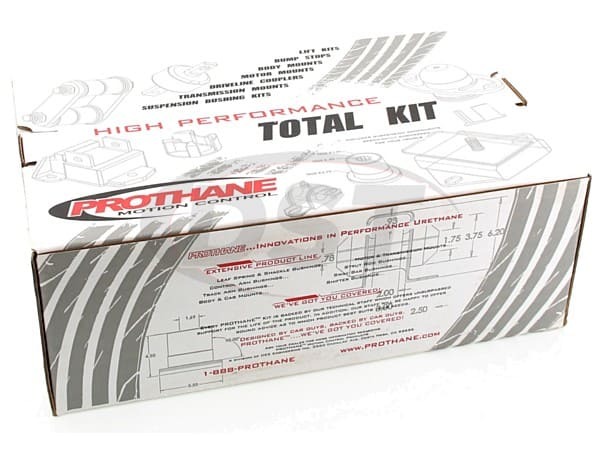 This is Prothane's Total Kit 8-2022 for a 1999-2009 Honda S2000. Honda's S2000 is a fantastic machine. This roadster has the aesthetically pleasing features of a high-class roadster, and it boasts a 4-cylinder engine with an 8900 RPM red line engine, putting out 240 Horse Power. One major issue though: the OE rubber bushings on this vehicle do not do it justice. 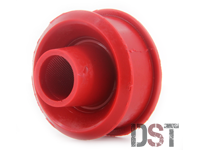 These bushings will eventually crack, or completely rot away, which opens parts of your suspension up to major damage. By installing Prothane's performance polyurethane bushings, you can take your S2000 to the next level and protect yourself from costly repairs down the road. 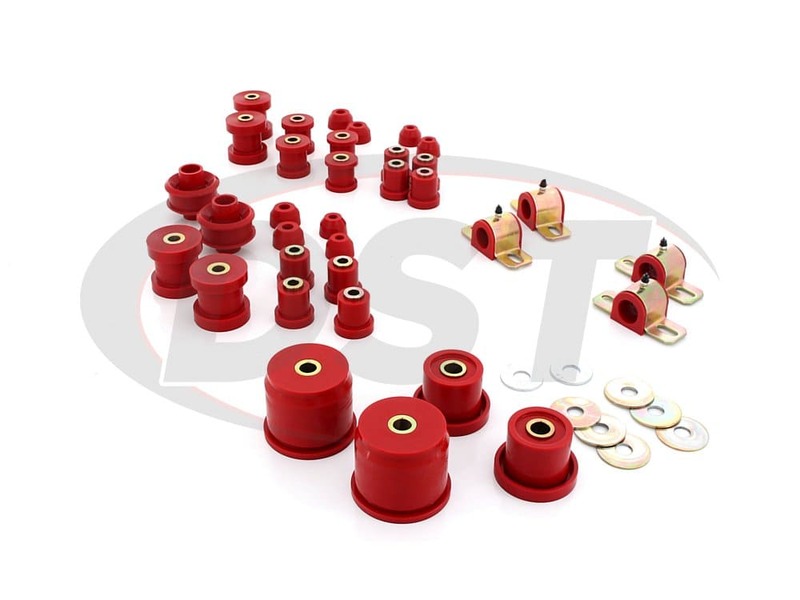 The front control arm bushing kit, 8-224, comes with performance polyurethane bushings for the upper and lower control arms on your S2000 to give you that edge on the street or the track. The lower control arms are covered with a lower bushing for the front position and the rear position, complete with two new steel inner sleeves. For the upper arms, there is a pair of bushings for each side with new steel inner sleeves as well. These inner sleeves are designed to match your OE bolt size. 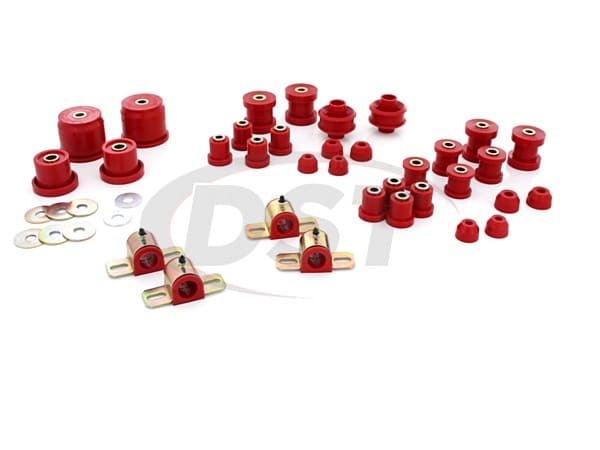 This kit is completed with new polyurethane dust boots for the upper and lower ball joints. These dust boots will fit tightly around your ball joint, keeping the grease in and keeping out harmful road contaminants that could potentially damage your joint. 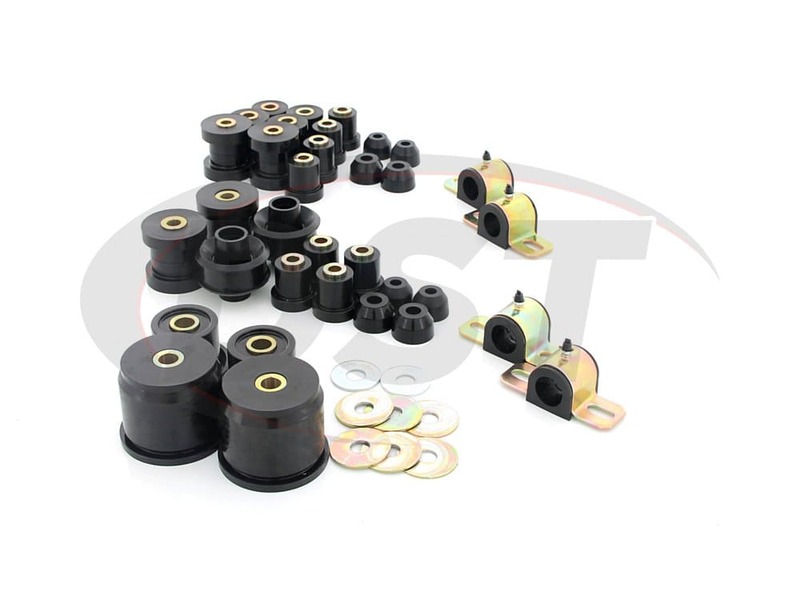 With these bushings and dust covers, you can greatly increase the life of your control arm, saving you from costly repairs down the road. 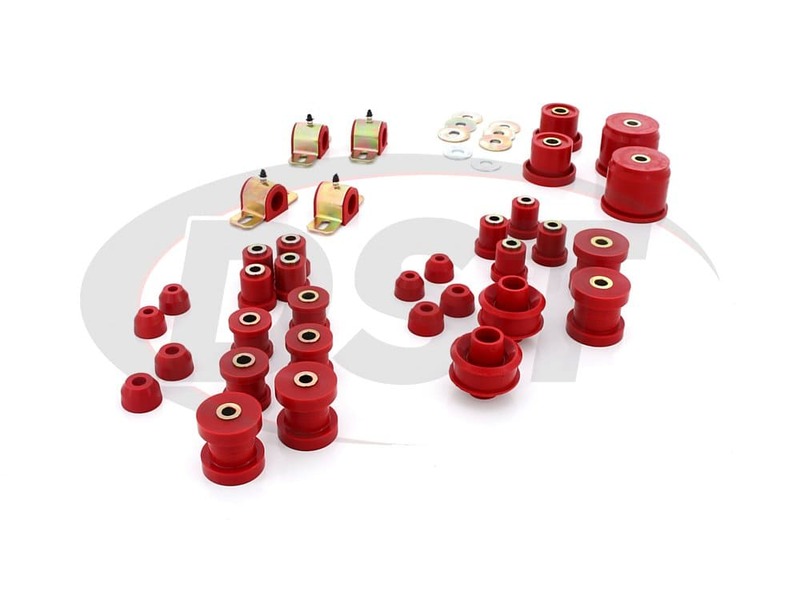 These bushings combined with the other bushings in this kit will allow your suspension to work more effectively. 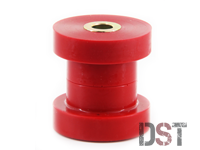 Increase your speed and handling especially while cornering with these polyurethane performance bushings. For the8-1144 is included for a 28mm bar. Prothane has designed their bushings with a split design for easy installation. Instead of having to take the entire bar off, Prothane has designed this bushing to come apart and slip over your bar.  Once you torque up your bolts this gap will disappear. These brackets are zinc plated, to protect against corrosion, and include grease fittings to allow you to easily apply grease whenever it is needed. 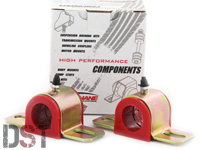 These performance bushings will effectively give your vehicle the performance of a car with a larger sway bar. 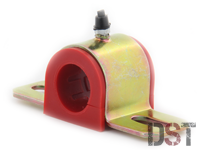 The rear sway bar comes with two new sway bar bushings and zinc plated steel, grease-able brackets. 8-1145 will cover a 27mm sway bar. The polyurethane grip will give your sway bar the performance level as if it had a larger sway bar. For the rear control arms, bushings are included for the upper control arm, the lower control arm, and the track arm in 8-320. New dust boots are also included for the upper ball joint and the track arm ball joint. For the upper control arm, there are four bushings and four steel inner sleeves, two for each control arm. The lower control arms are covered with eight half bushings and four steel sleeves that will make four complete bushings, two for each side. To finish off the control arm are two polyurethane dust boots for your upper ball joints. Just like the front boots, these dust boots fit tightly around your ball joint to keep out harmful contaminants and extend the life of your control arm. The track arm bar is also covered by this the Total kit. 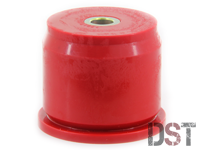 Two new dust boots, four half bushings, and two inner steel sleeves will completely replace the stock rubber bushings on your vehicle's track arm. Lastly, the Total Kit includes bushings for the 8-1603. 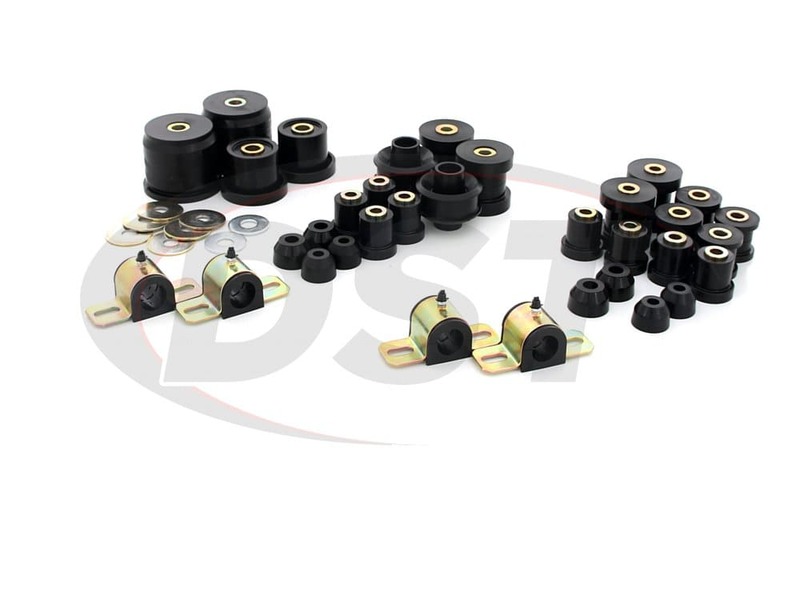 This differential bushing kit comes with four bushings and four steel inner sleeves, one for each side of the forward position and one for each side of the rear. 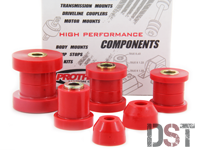 Prothane's polyurethane differential bushings will eliminate any excess movement of your differential, reducing the potential for wheel hop and torque loss. Does part number 82022 come with the control arm bushings? Yes, part number 82022 does come with the control arm bushings. Yes we can ship part number 82022 to Germany. I had read a while back where you were coming up with full urethane bushings for the s2000 about how long till you will have them out and available for purchase? Good news they are out now. 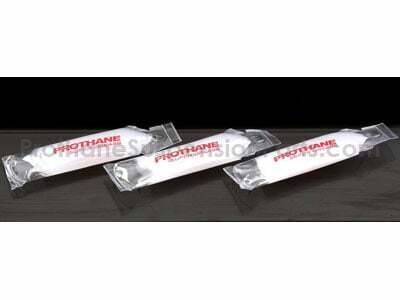 The Prothane Total Kit part number 82022 is the one you were waiting for to come out. They come in Red or Black.